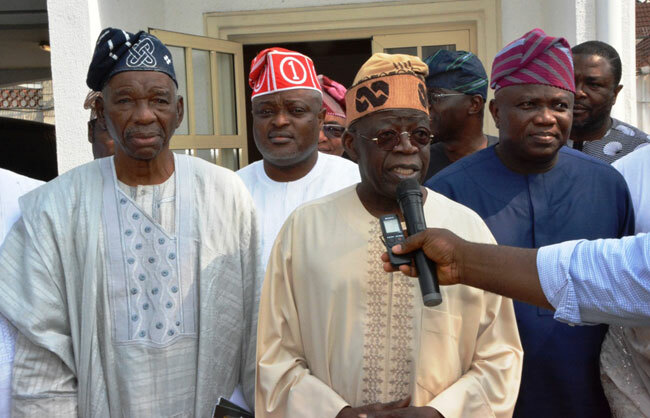 The National leader of All Progressives Congress (APC), Bola Ahmed Tinubu, has said the conflict between the Lagos State Governor, Akinwunmi Ambode and the state Assembly has been resolved. Tinubu said this on Sunday following a peace meeting at the instance of the APC leadership in the state to end the rift between the Governor and lawmakers, which took place at the Lagos House, Marina. The state lawmakers had threatened to impeach the governor over budget infractions and had given him a week to answer to a petition against him.